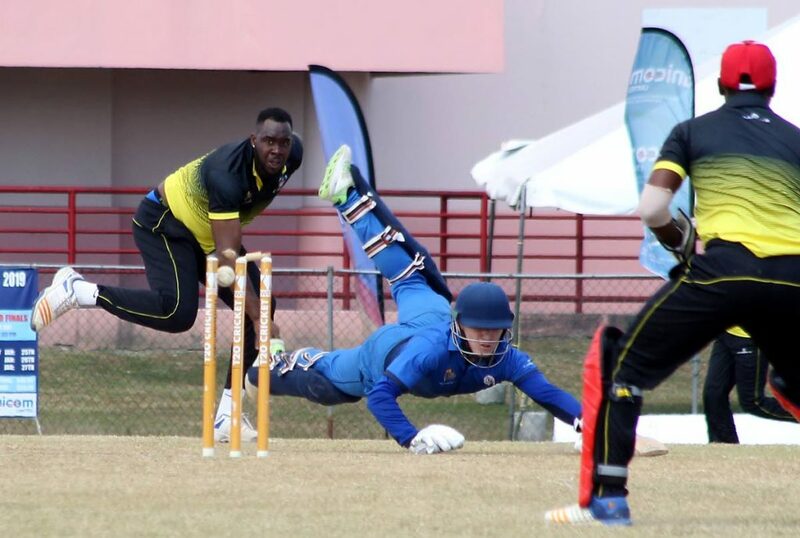 OXFORD Marylebone Cricket Club (MCC) University upset UWI by 26 runs yesterday to move into the final of the inaugural UWI World Universities T20 Cricket Tournament. The title match bowls off today from 3 pm at the Sir Frank Worrell Ground, St Augustine as the Englishmen take on the tournament favourites Combined Campuses and Colleges. 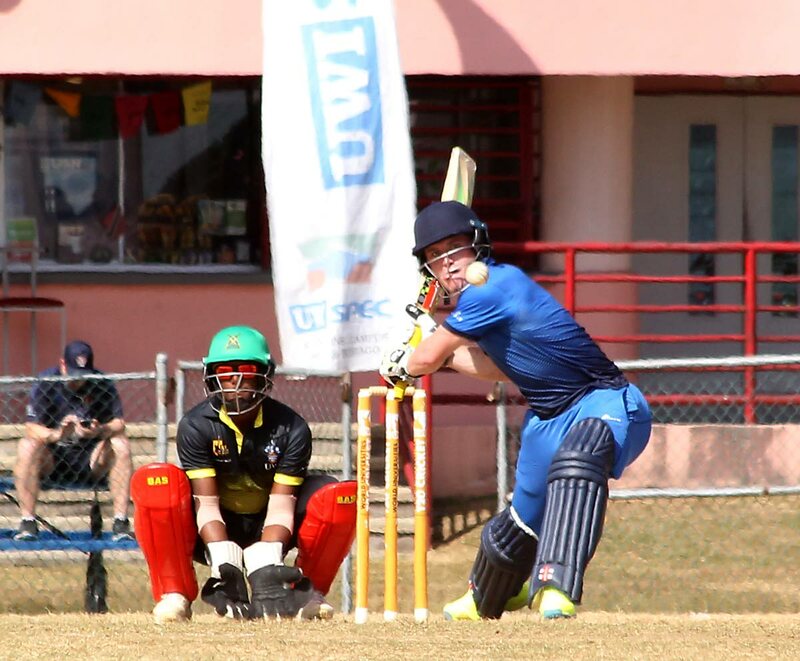 Batting first yesterday, Oxford MCC made 142 for seven in their allotted 20 overs, before skittling UWI for just 116. It was the visiting team's second win on the trot against the hosts, and they now aim to end their tour by exacting revenge on CCC, who thumped them in the tournament opener. After winning the toss, Oxford MCC got off to a flying start with openers Christopher McBride and Mohammed Rizvi putting on a stand of 41 in under four overs. McBride was the aggressor, making 36 off 19 (three fours and three sixes), before Shaquille Brown got him dismissed LBW. His dismissal triggered a mini-slide as Rizvi (six) departed four runs later and skipper James Seward was run out by Rachad Forde for duck, leaving Oxford MCC on 49 for three. Harry Adair and Zaman Akhter moved the score along to 70 but spinner Jovan Ali's spell drastically slowed the scoring rate. He bowled Akhter for eight and then removed Adair for 24 off 20 (three fours). He also accounted for Louie Shaw (six) en route to figures of three for 14 from four economical overs. Michael Frew joined the action, having Matthew Taylor stumped by Steven Katwaroo for duck to leave Oxford MCC dangling at 83 for seven. However, Liam Burgess (30 off 22 with two fours and a six) and Will Heathfield (24 off 23 with two fours) would save the innings, putting on an unbeaten 59 for the eighth wicket. Forde's last over proved to be decisive as he went for 20, helping the Englishmen to a respectable total. In UWI's turn at the crease, they wilted against a disciplined Oxford MCC bowling attack led by Rizvi. He put in a man-of-the-match performance with four wickets for 14 runs from his four overs, to leave the hosts struggling to find answers. Rizvi played a part in the first wicket to fall, catching out Adrian Ali (12) off Heathfield. Katwaroo then edged Dominic Clutterbuck to wicketkeeper Seward as UWI's top order wobbles. Rizvi then stepped up with the ball, bowling both Vikash Mohan and Shaquille Brown for one. But his prized scalp came in the form of opener Sachin Seecharan who made 24 off 23 (three fours). This left UWI in tatters at 55 for five in the 11th over. Rizvi claimed his fourth wicket with Forde going leg-before for five. By the time UWI's final hope in Michael Frew (21 with one four and two sixes) was run out, the incoming batsmen clearly lost confidence in the chase. Duane Cockburn was bowled by Clutterbuck without scoring and Akhter castled Jovan Ali for 15. The final wicket came when Emilio Gopaul (three) skied Will Robertson to Burgess at long-off, as Oxford MCC romped into the championship match in style. Reply to "Oxford, CCC in Universities T20 final"